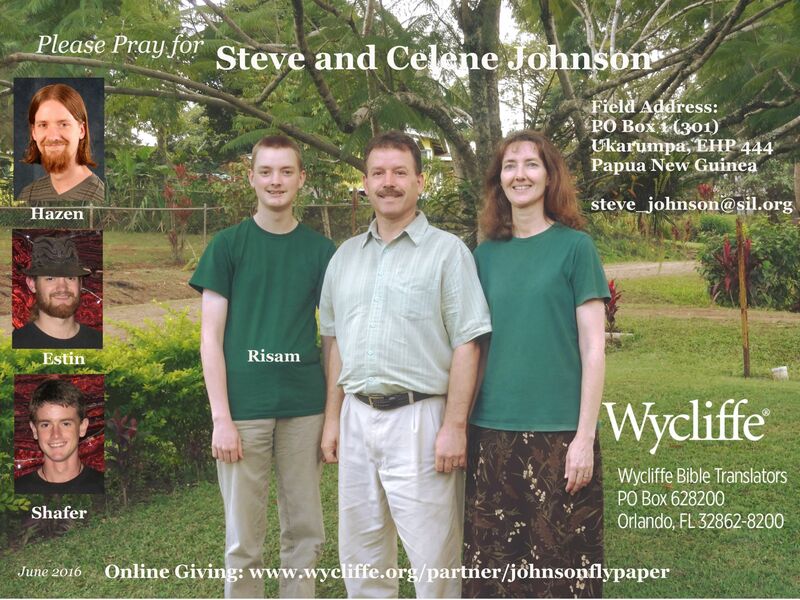 Steve & Celene Johnson are in Papua New Guinea. Find out how some of the latest technology is being used to get the Scriptures to the people of Papua New Guinea. See their prayer card HERE. Steve Johnson's Thank You to Timberview is HERE. Their November "Picture This" is Here. Their November "Fly Paper" is here. December's "Picture This", January's "Picture this", March "Fly Paper", April's "Picture This"
Art & Sylvia support our Free Methodist Missionaries in South Africa. Their Christmas newsletter is here. The April 2019 newsletter is HERE.